It’s been 20 years now since the freest and fairest election in Nigeria was truncated by the evil genius, General IBB. We were on the path to great things in this country. 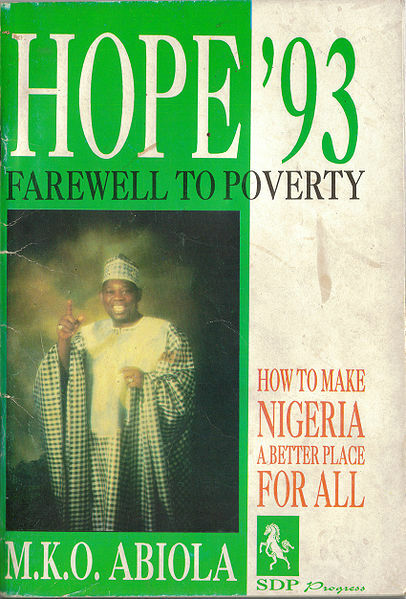 Majority of Nigerians along ethnic, geographical and religious lines had lined up behind the figure of Chief MKO Abiola and decided he was the one to set us on the path to greatness after 10 years of military misrule under IBB and his co-travelers in jackboots. How could one forget June 12? I remember queuing at a voting booth at the Ojabugbe-Eyesan intersection in Warri. We had no mobile phones in those days. I cast my vote with an eerie feeling of being part of something important and delicate at the same time. I felt I was about to change our world with my one vote. While standing in queue my mind kept going back to MKO’s debate with Tofa. It was an amazing performance. Till date, no one has shown a greater desire to work for Nigeria or articulated such a simple and clear path forward to solving our problems like MKO did that night. He knew little things like the cost of petrol…this for a multi-millionaire who probably had not bought fuel by himself in ages. By the way, back then most Nigerians did not know the pump price of petrol like we do nowadays, because it was not such an issue. See Links to the debate in the appendix. There was no quick way of knowing what was happening in other states or towns, since communication was slow in those days. But we knew there was an air of calmness and oneness of purpose that day in Warri. There were no stories of ballot boxes being stolen. The TV and radio stations had reports of peaceful voting across the country. Prof. Humphrey Nwosu’s option A4 ensured there was transparency even at the polling stations. The votes were counted in front of everyone at our ward’s polling booth and MKO got over 98% of the votes there. The reason why this was a watershed period in our lives was because we did not even care that the SDP ticket was a Moslem/Moslem one with MKO and Babagana Kingibe. From the election results released, they had won a landslide in almost every state announced, polling a total of 8.4 million votes. Alas, the INEC chairman was abruptly prevented from announcing the complete results and the rest is history. MKO was hounded into exile, he returned and declared himself president, he was arrested and thrown in jail, and his wife was assassinated by the Abacha killer squad, drank tea with Susan Rice and William Pickering… and met his untimely death. From the period of the June 12 election annulment till the death of MKO, some Nigerians under different coalition umbrellas fought the government of IBB from home and overseas using international relations and civil disturbance to try to force IBB’s arm into recognizing the election outcome without success. Instead he handed over to Abacha, who proceeded to take Nigeria on his own journey of terror until he succumbed to an Indian apple. Since then, we have had 3 PDP presidents, including Obasanjo, who was uncharitable enough to declare that Abiola was not the Messiah Nigerians had been waiting for, became a beneficiary of a misplaced move by the Oligarch using their new vehicle, the PDP, to appease the South West. 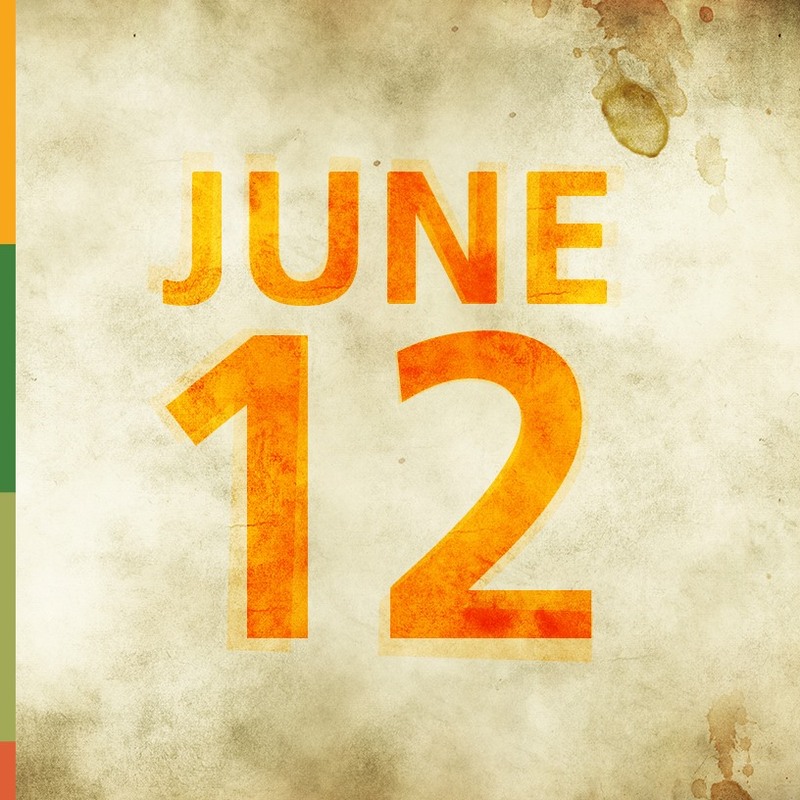 Who told them that June 12 was about the Yorubas? I’d better stop here. The intent of this is not an attempt to recant common history, but to honor MKO Abiola and the others who died or risked life, limb and livelihood in trying to restore our mandate. May their souls rest in peace and may the families they left behind gain favor anywhere they go. Amen. So how was your June 12, 1993? For me it remains one of the best days of my Nigerian existence. A bittersweet memory. Nigeria worked on that day. But…alas!